Meral Kesebi graduated with an Honours B.A. in Political Science and Masters of Public Administration from Dalhousie University. She received her LL.B. from Queen’s University. 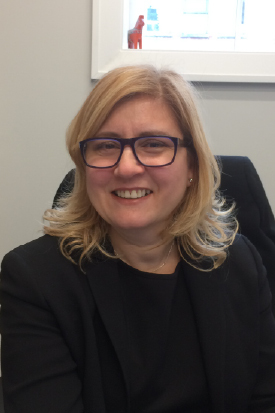 Since being called to the Bar in 2003, Meral practiced mainly in personal injury and has broader litigation experience in a number of areas, including commercial matters, insurance coverage issues, fire losses, subrogation, products liability, municipal liability, and professional negligence. Meral has been involved in jury and non-jury trials in the Superior Court of Justice, Tax Court of Canada, Federal Court of Appeal and government bodies including the Financial Services Commission . She worked in public policy planning and development at local, national and international levels before commencing legal practice. Meral is a passionate advocate and is committed to obtaining the best possible results for her clients.